The Obama administration quietly gave a special license to Iran to access the U.S. financial system despite U.S. sanctions and its own statements to the contrary, according to a new report by Senate Republicans. While the report stops short of accusing the Obama administration of lying, the investigators who worked on the report said it was clear to them that top officials misled Congress and the American people about the transactions. "The Obama administration misled the American people and Congress because they were desperate to get a deal with Iran," said Sen. Rob Portman, the GOP chairman of the Senate's Permanent Subcommittee on Investigations, who published the report. Granting the license was not illegal, but the new disclosure gives more ammunition to critics of President Obama who say the Iran nuclear deal gave too much to that country's regime, allowing it to fund a new wave of destabilizing activity in the region. 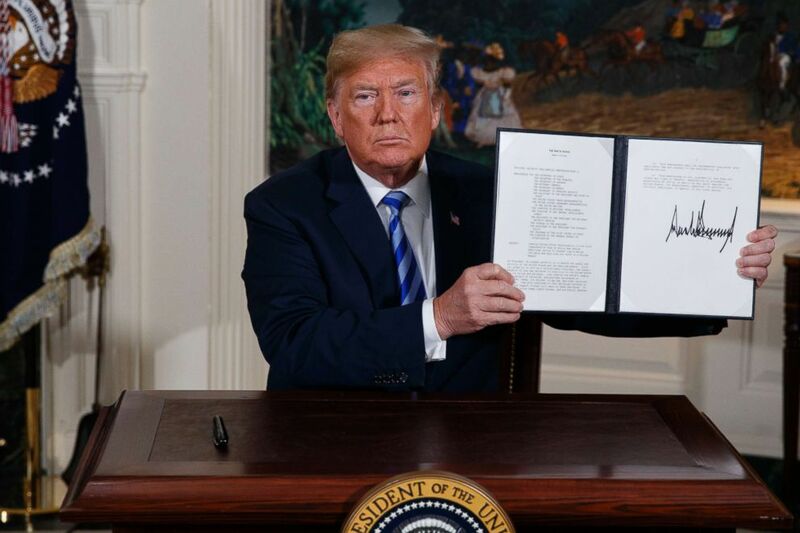 President Trump put nuclear sanctions back on Iran in May, violating the nuclear deal and withdrawing the U.S. from it. Those sanctions come into place in August, when the U.S.'s allies in Europe and adversaries alike face a choice between the U.S. financial system or economic penalties for doing business with Iran. "Senior U.S. government officials repeatedly testified to Congress that Iranian access to the U.S. financial system was not on the table or part of any deal. Despite these claims, the U.S. Department of the Treasury, at the direction of the U.S. State Department, granted a specific license that authorized a conversion of Iranian assets worth billions of U.S. dollars using the U.S. financial system," according to the report. A former Obama administration official dismissed the charge, telling ABC News, "There was no secret effort to give Iran access to the U.S. financial system. This was a routine license to allow the transfer of funds. That's totally in line with our well-known obligations under the deal." Jarrett Blanc, the former State Department coordinator for Iran deal under Obama, called the report "wildly overblown" and the license "absolutely common in sanctions regimes." The gist is that after the Iran nuclear deal was signed and implemented, Iran was given access to its frozen assets in banks around the world, including $5.7 billion at a bank in Oman, the small country on the southeast tip of the Arabian peninsula. PHOTO:British Foreign Secretary Philip Hammond, Secretary of State John Kerry and European Union High Representative for Foreign Affairs and Security Policy Federica Mogherini talk to Iranian Foreign Minister Mohammad Javad Zarif in Vienna, July 14, 2015. Those funds were in Omani rials, and the Iranians wanted them in euros. But in order to access them quickly, they sought to exchange the funds for U.S. dollars first, before converting them to euros. For the Omani bank, that would have violated the U.S. sanctions that remained in place after the deal that bar Iran from accessing the U.S. financial system. Iran instead approached the U.S. about a waiver -- one that the Obama administration granted in February 2016, in a move that had not been previously disclosed. No bank or institution ever completed the transaction, despite outreach from Obama administration officials to two U.S. banks, asking them to do so. Instead, Iran ultimately withdrew the funds from the account at a slower rate and converted them to euros using European banks. The former Obama official argued that this was not granting Iran access to the U.S. financial system, but allowing for one brief transaction. But the license was something that Obama officials had previously ruled out entirely. Then-Treasury Secretary Jack Lew testified before the Senate Foreign Relations Committee in July 2015 that Iran "will continue to be denied access to the [U.S.] financial and commercial market" under the nuclear deal, formally known as the Joint Comprehensive Plan of Action, or JCPOA. In September 2015, Adam Szubin, Obama's Under Secretary of the Treasury for Terrorism and Financial Intelligence, said in a speech, "Iran will not be able to open bank accounts with U.S. banks, nor will Iran be able to access the U.S. banking sector, even for that momentary transaction to, what we call, dollarize a foreign payment" – the very move Treasury granted Iran. 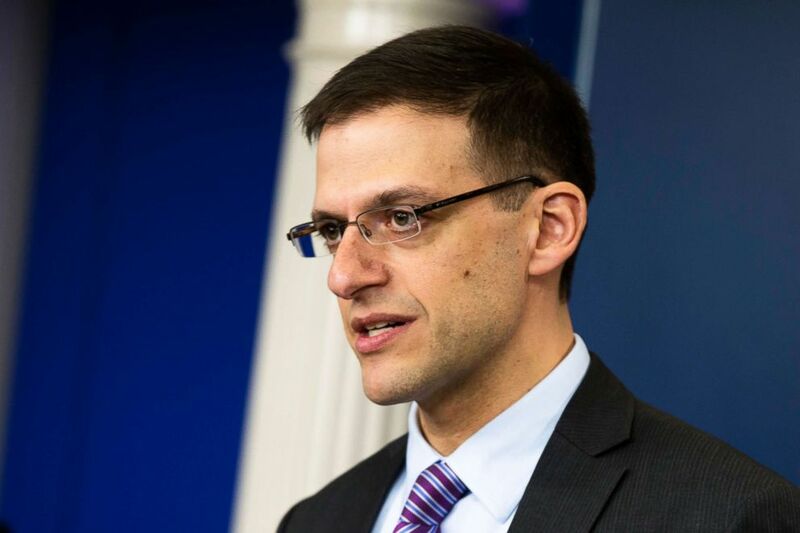 Treasury Undersecretary for Terrorism and Financial Intelligence Adam Szubin speaks to reporters during the daily press briefing about combating funds going to the Islamic State group, on Dec. 16, 2015, at the White House. Blanc, who is now a senior fellow at the Carnegie Endowment for International Peace, said the Obama administration was "transparent with Congress," with "regular staff level briefings in much more detail." The report, an advanced copy of which was obtained by ABC News, even shows senior officials explaining that the move violated U.S. sanctions. As part of the nuclear deal, the U.S. agreed to lift secondary sanctions that targeted other countries or institutions doing business with Iran, its oil industry, and more – but it kept in place most of its own sanctions, including blocking Iran from U.S. banks. A senior State Department official, who is not named in the report, told an Iranian counterpart in an email that the kind of transaction Iran was requesting was "prohibited by U.S. sanctions that are still in place, and which we were clear we would not be removing as part of the JCPOA. Nevertheless, as a gesture of support for Iran’s getting access, we helped on this as we will on other cases." U.S. officials went further, asking then Secretary of State John Kerry or Treasury Secretary Jack Lew to reach out to banks and encourage them to complete the transaction. "It would be a good idea to have Lew engage" the second bank, whose name is redacted, one State Department official emailed in April 2016. "If they refuse, we can suggest Kerry will call, which will drive them nuts," adding later that Kerry was "more than eager to engage." It's unclear if either cabinet official did so, the report says. Even after the license was granted, Obama administration officials continued to say in Congressional testimony that Iran would not be granted this kind of access to the U.S. financial system. Talking points prepared for Lew before congressional testimony said he should disclose the specific license "if pressed." But instead, even when asked on several occasions, he was vague, saying in March 2016, "Part of the agreement was to give Iran access to money that it has a right to. We will work on making that happen. 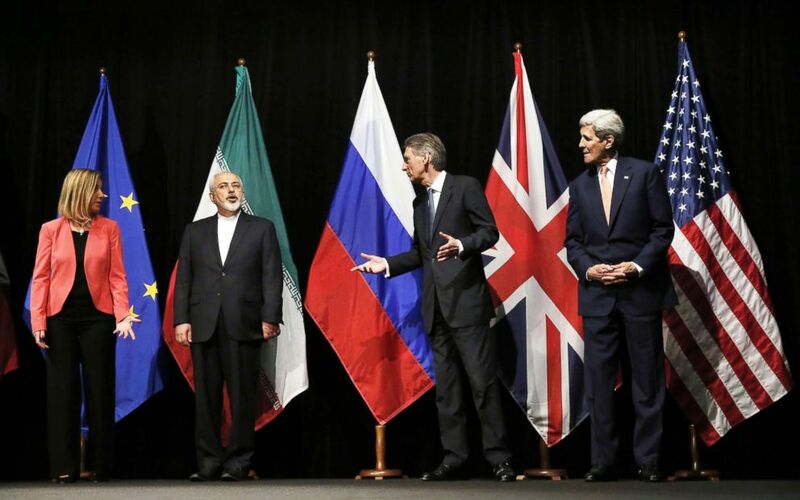 It is not going to be our goal to block transactions that are legitimate under the JCPOA." Blanc told ABC News Wednesday that that was a sign of how the administration had been "transparent." But when Szubin, the Under Secretary of the Treasury, was asked in May 2016, he said he was clarifying for Lew, telling Congress, "I know he was looking forward to me being here to be able to relay his views on this. Iran will not have access to our financial system." The Senate Permanent Subcommittee's investigation was conducted in a bipartisan fashion, but the Democrats did not sign on to the report or issue their own. Investigators said the episode should illustrate the importance of the U.S. financial system and how much leverage that gives the U.S. over Iran now that the Trump administration has violated the nuclear deal and withdrawn the U.S. from it. But critics of the report said it shows Republicans putting politics over policy: "The Trump administration and its congressional allies appear not content with merely risking the revocation of the protections against an Iranian nuclear weapon that the Iran deal affords. Instead, they continue to malign the deal in an effort to justify President Trump’s unjustifiable decision," Ned Price, Obama National Security Council spokesperson and now director of policy and communications for National Security Action, said in a statement. As the clock counts down until U.S. secondary sanctions are snapped back into place, European countries must weigh whether doing business with Iran is worth losing access to the U.S. financial system or facing U.S. sanctions penalties.